The Pandora box of new music is easier to find these days if you like to stream, but it’s not always on Pandora’s app. We’ve already shared ten of our favorite music discovery apps and platforms, and now, one of those services is bringing a brand new look to its iPhone app: 8tracks. 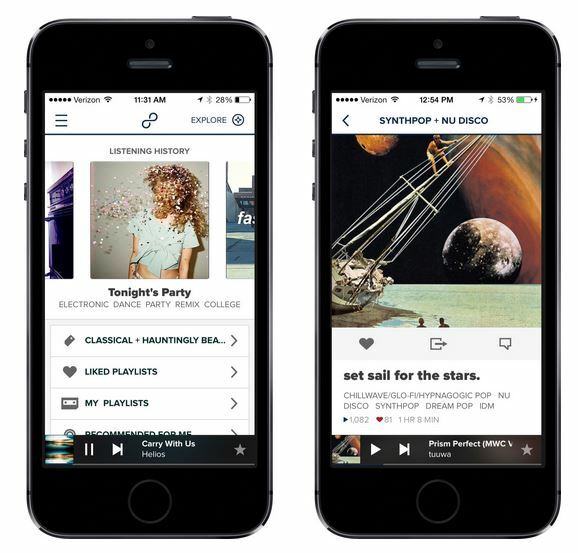 With the new 8tracks app, users can view a better user experience design since it now integrates with iOS7. 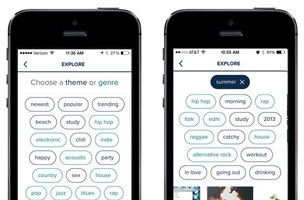 The new app update gives users more ways to discover playlists by allowing them to use multi-tag searches. For example, you can add these together for a unique search query: trending, indie, calm, and beach. Further the results are displayed in a Timeline that you can swipe left to see the next playlist according to your search criteria. Likewise, swiping right will give you your previously played 8tracks. We fully re-designed the app to be bold and beautiful, incorporating both iOS 7 standards and numerous performance enhancements. You can now more readily pick playlists based on what you’re doing (e.g. study, workout, party, sleep) and how you’re feeling (e.g. happy, sad, love, mellow) in combination with a deep selection of genres and artists, a fundamental component of 8tracks since its launch on 8/8/8. 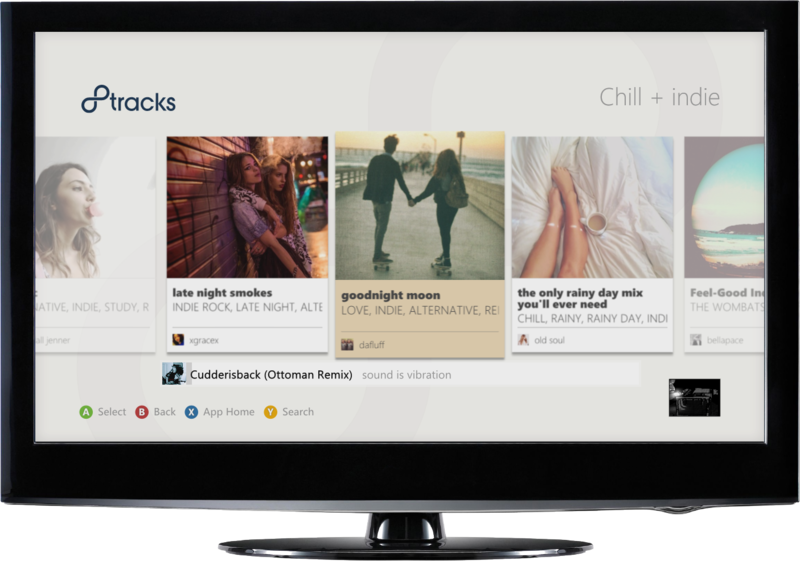 8tracks promises a new Android app for later this summer. If you’re at home and want to stream music, there is another way to get playlists onto your bigger screens using 8track’s xBox app: As on 8tracks’ website and apps, Xbox listeners can browse playlists by genre, activity and mood tags. Beyond liking mixes and following DJs, listeners on Xbox can navigate the app with voice commands, hand gestures (using the Kinect), and the good old-fashioned controller.